I remember my first night as a mother. I nursed my tiny baby to sleep, placed him in his crib, where he began to cry. So I calmed him, waited longer before I put him down, and yet he cried again. 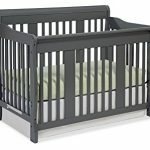 Since his crib was already in our room, the transition to the bed was a very short walk. That night my husband and I took turns holding him while he slept, and we’ve had a kid in our bed ever since. I have no doubt we could have trained our son to sleep in his own bed, but that little cry spoke to me. Babies don’t come into this world equipped with many skills. They can’t hold their heads up. They are pretty much helpless, but what they have is their voices, their little cries. So that first night when my son told me he needed me, I answered and let him into my bed. Now almost 4 years later with him still in my bed, you might think I regret this decision, but I don’t. Co-sleeping is a way of life for many families. Some statistics show that “that 25% of American families always, or almost always, slept with their baby in bed, 42% slept with their baby sometimes.” Other studies have shown that co-sleeping is more widely accepted in Asian, African, and Latin American countries where parents are more concerned about separation from their child versus lack of privacy. I saw a mom who shared her family’s co-sleeping arrangement with their four kids ranging from a baby to an 11 year old. Many people had lots of negative things to say, especially regarding the seeming lack of privacy, but I respect these parents’ decision to do what worked for their family. I know safe co-sleeping works for my family, even though there’s now 4 of us. Speaking with other co-sleeping mothers, I’ve seen our motivations vary. One friend whose nursery was on the first floor but master bedroom was upstairs realized that if someone broke into her house, the first room they would come upon was the nursery. Once she realized that, she knew she couldn’t leave a baby or a small child there.That threat also extends to emergencies like a house fire. I like knowing that if anything is happens, my kids are already right there next to me, at least until they are older and more capable. I know I don’t sleep as deeply with a baby in the room, but I see that responsiveness as a bonus. I worry less. I breastfeed easier and longer without supply problems. When I was working outside of the home with my first child, the most time we had together in a day was when we were sleeping. I was so glad to have that connection after being away from him all day. During that time of serious internal conflict of working and leaving my child, the nights with him reconnected our family. When I became pregnant again, I worried that our co-sleeping arrangement might not work with two children and me and working from home. I thought I might crave more space from my children after being with them all day. When I see their sleeping faces in my bed, I feel peace, love, and comfort. If I felt negatively, I’d work on a different arrangement because I’m not a martyr. I’ve just found sleeping is not where I seek privacy. I find that time in the shower, at the gym, on a run, or even just browsing Facebook while my kids nap. Just because we co-sleep, doesn’t mean all my waking hours are spent with awake kids. I’m a believer in naptime and bedtime. I write this now while my 3 year old is at least quietly “reading”, if not asleep in the bed, while the baby is asleep. Soon, I’ll pick her up and bring her to bed with me. She’ll shift her weight against me, ready to nurse and sleep some more. As I approach four years into parenthood, I can see how quickly these 18 years will pass. For perspective, my car is 15 years old. My husband and I have been together for 14 years. Our first dog is 12 years old. Years only seem to go faster as I get older. My car is breaking down. My dog’s face is nearly all white. Their time is coming to a close right in front of me, as my husband and I approach being together nearly half of our lives. My lap can hardly contain my leggy 3 year old as he “reads” me stories. This new baby who just arrived in August is now smiling, grabbing things, and trying to roll over. I have no worries about forcing them out. Their independence is coming without question. One day my children will tell me they are sleeping in their own beds, and I will be proud as they reach that stage. Until then, I’ll scoot over and welcome them in.